Sleep is an important factor in our lives. We need it to rest, recover, and rejuvenate. After injuries, it becomes extra important because our bodies need it to heal. When we don’t sleep well, we can be irritable, lethargic, and unproductive. So, what happens if we are sleeping a decent number of hours, but not getting good quality sleep? I recently got a FitBit for my birthday (thanks, hubs! ), and one of my favorite features is that it tracks my sleep. It was very eye opening to see the times I was awake vs. asleep vs. restless. In the past few months, I’m restless an average of 10 times per night. One night I was restless 26 times, which amounted to over 60 minutes of disturbed sleep. I’m not sure if it is the heat (we don’t have air conditioning! ), but it makes mornings mighty difficult. I always tell patients that pillows, mattresses, and shoes are the three hardest things to recommend to patients. We spent most of our time using these three things, and one size does NOT fit all! If you’re struggling with good quality sleep, there are a lot of different things you can consider; let’s talk about pillows. 1) How thick is your pillow? If you’re a side-sleeper, it is easy to have a pillow that is too high or too low. To check this factor, feel the angle of your neck when you’re standing. Hopefully it is relatively straight! Now, lay on your side without a pillow. Your neck is tilted far to one side, right? Your shoulder hits the bed, and your head falls to the side in the space created by your shoulder. Your pillow should fill up that space without putting your ear too close to one shoulder or the other. In essence, you want to mimic where your neck is when you’re standing. If you’re a back sleeper, the same thing applies: you don’t want your chin too close, or too far, from your chest. Aim for a position similar to standing. 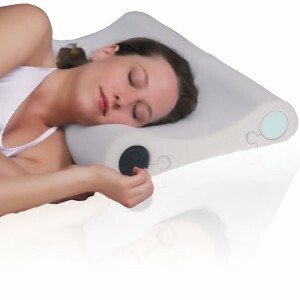 BONUS: support the lower part of your neck, just above the level of the shoulders, with a thicker part of your pillow. You can also roll a small towel under this area to provide extra support. 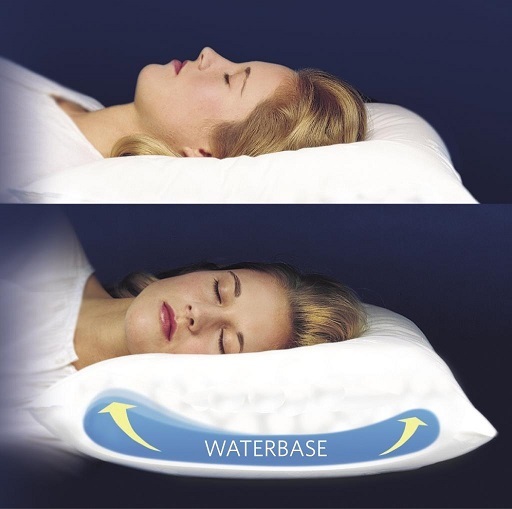 If you’re a stomach sleeper, you might not need a pillow at all! Sometimes stomach sleepers experience low back pain; if that’s you, consider putting a small pillow under your tummy near your belly button to provide support to your low back. 2) How old is your pillow? Even if it is the most comfortable pillow you’ve ever had, it may be worn out, and not as supportive as it once was. Gravity breaks down the material from your head spending countless hours in one (or a few) places. And don’t forget about the buildup of dander, skin cells, and potentially mildew or fungus. Ick! 3) How firm is your pillow? If you sleep on your side, you need more firmness to support the head, neck, and potentially shoulder. Some side sleepers find foam, gel, buckwheat, and feather pillows to be a good fit. Back sleepers can often get away with softer pillows, because there is less impact of gravity on their pillow (think about the space difference from your head to the bed when you’re on your back vs. side). 5) How do I know which pillow is for me? The real test is to find one that fits your needs (back, side, stomach sleeper) and is comfortable. While this article may be helpful, all the good advice in the world won’t do much for you if you’re miserable. Generally speaking, a thinner pillow is probably better is often better for back sleepers, and a thicker, more-supportive pillow is probably better for side sleepers. Keep these components in mind when you are pillow shopping. Pillow too low? Instead of buying a brand new one, try putting a folded bath towel or hand towel under the pillow to elevate it. Pillow too high? If you’re a pillow stacker, try using just one pillow instead of two. Pillow not supporting your neck? Try rolling up a small hand towel to place under your neck. Thanks for reading! Sweet dreams!